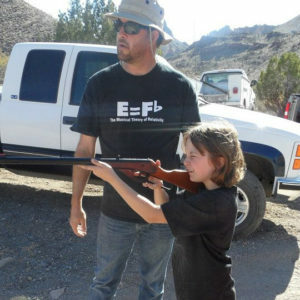 McKenna Beckham started out shooting from an early age with her father. 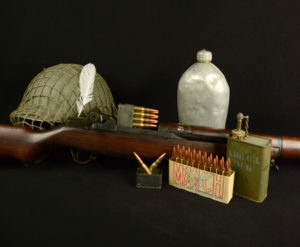 She fondly recalls trips to the range and shooting in the desert with family. 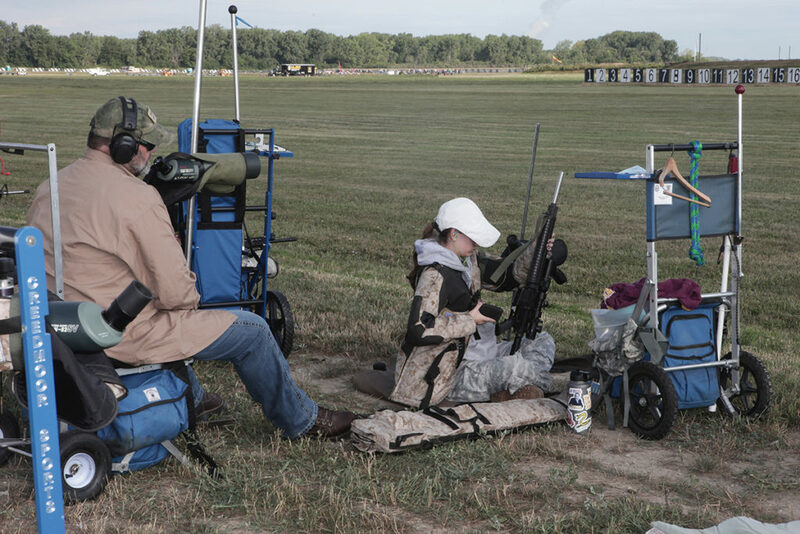 Currently 16 years old, she has been shooting competitively for nearly three years, having started in early 2016. Preparing for President's 100 Rifle Match July 29, 2018 - 2018 Camp Perry National Matches, Camp Perry, OH. 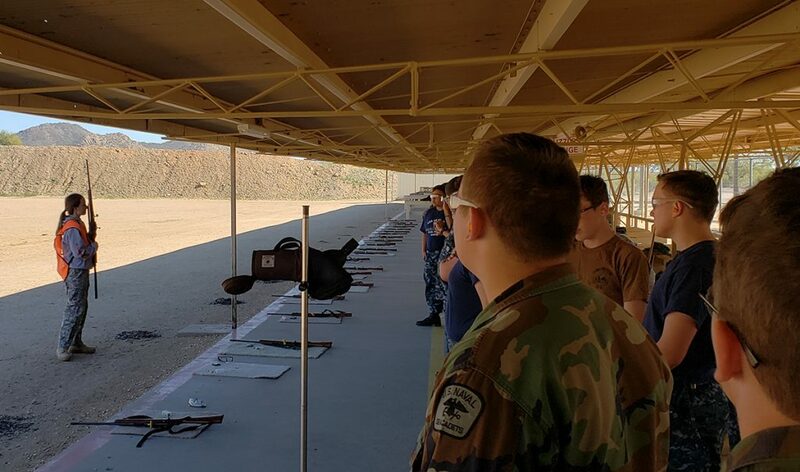 Beckham was introduced to smallbore rifle through the Arizona State Rifle and Pistol Association (ASRPA), shooting the Western Wildcat match three short months after starting smallbore. 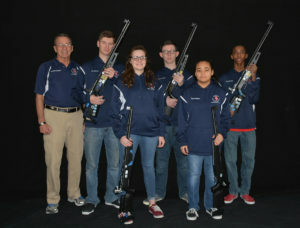 Participating in the NRA Winchester Marksmanship Qualification Program, McKenna gained a good basis for high power positions, shooting four-position smallbore rifle. 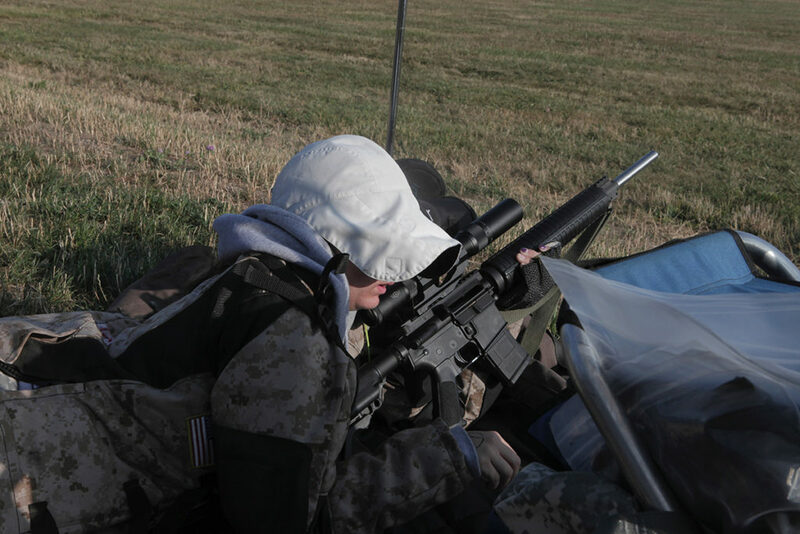 For McKenna, each shooting experience builds on the previous. 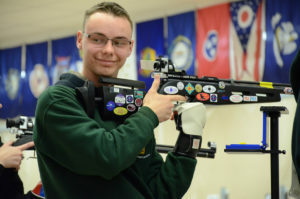 Over the past two years, McKenna has not only been continuing to improve as a shooter but has been helping others improve while coaching the Naval Sea Cadets in three-position smallbore. 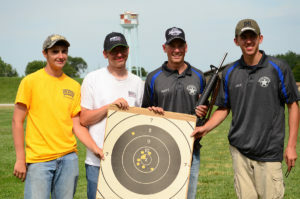 One unique aspect of the shooting sports is that they allow one to be independent, yet provide the opportunity for one to grow alongside and learn from others. McKenna likes that shooting allows her to depend on herself, but that there exist teams and team matches. Learning the basics, 9 years old , November 2012. Mohave County Desert, Arizona. Also pictured Blue Beckham. It is this support that has helped McKenna to get to where she is now. 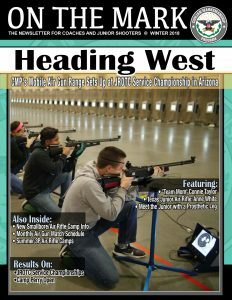 Her greatest accomplishments include placing High Woman at the 127th Washington’s Birthday Match and High Junior at the Arizona State Smallbore Prone Championships. 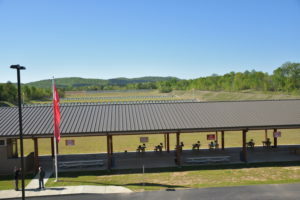 CMP/USMC Junior Rifle Clinic 600 yards Slow Fire Prone. July 28, 2018 - 2018 Camp Perry National Matches, Camp Perry, OH. Credit Quang Nguyen. She also stresses the importance of comfort. 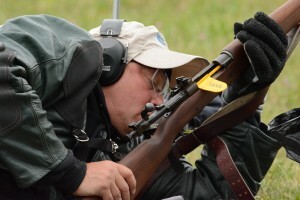 If one does not find a comfortable position, or is uncomfortable on the range in general, it will be harder to shoot, focus and perform well. This is another reason having such an inclusive shooting community is so crucial to the future of the sports. CMP/USMC Junior Rifle Clinic July 27, 2018 Preparing for 200 yard rapid fire sitting - 2018 Camp Perry National Matches, Camp Perry, OH. Also Pictured, Coach Randy Jackovich. Credit Quang Nguyen. Outside of shooting, Mckenna runs cross country, plays flute in concert band and enjoys hiking and playing with her dogs. She also spends a good bit of time cooking and baking. 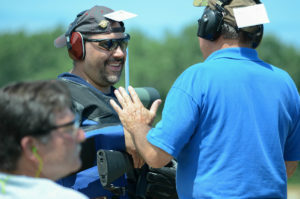 Shooting high power introduces one to a significant number of service men and women as well as teaches leadership skills and develops character. 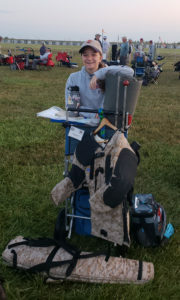 McKenna Beckham continues to use her experiences to encourage others and her plans shall undoubtedly inspire younger shooters as others have inspired her. 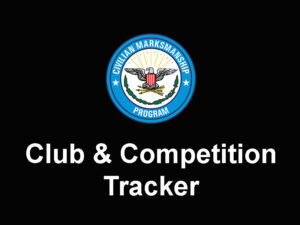 Depending where your son is at, he may be able to join a CMP Affiliated Club - search https://ct.thecmp.org/app/v1/index.php?do=clubSearch. 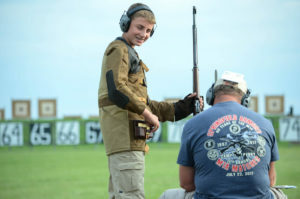 We do offer payment plans for junior clubs - http://thecmp.org/clubs/sales-index/jr-rifles/. 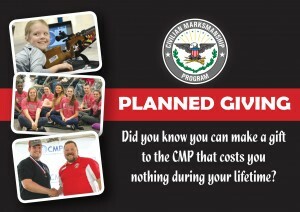 You may also be able to check directly with distributors to see if they have any options for you - https://www.pyramydair.com or http://www.champchoice.com/store/main.aspx?p=categoryBody&c=AIARWA.